HomeUncategorizedJust what is a gömböc anyway? A gömböc is a convex body of uniform density with exactly two equilibria, one stable and one unstable. This month, a gömböc was donated to the Math Dept. by Gábor Domokos in a dedication was held at the Math Library. 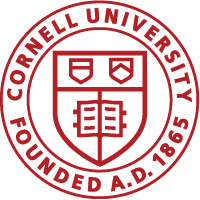 This gömböc, made of aluminum, is numbered 1865 in honor of Cornell’s founding.